Sonova (Sonova Holding AG) – Phonak (Phonak Holding AG) before 31 July 2007 – is a Swiss company that specializes in hearing and wireless systems. 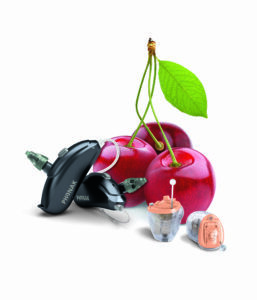 Sonova develops and markets hearing care solutions in two segments, hearing aids and cochlear implants. The group operates through its core business brands Phonak, Unitron, Advanced Bionics and Connect Hearing. AutoSense OS is the operating system within Phonak Venture hearing aids. It accurately captures and analyzes sounds in real time to precisely match clients’ exact listening environments. With no manual interaction required, it creates an exceptional listening experience as transitioning from one sound environment to another is seamless. Over 200 distinct settings. Binaural VoiceStream Technology™ streams the full audio bandwidth in real-time and bidirectionally for unmatched speech understanding and improved sound quality. V90 Autosense OS over 7 environments (calm situation, speech in noise, comfort in noise, music, speech in loud noise, speech in car, and comfort in echo) Speech in wind program, speech in 360 degrees, EchoBlock, WindBlock, SoundRelax, DuoPhone. V70 Autosense OS over 4 environments (calm situation, speech in noise, comfort in noise, music), Speech in Loud Noise, Speech in 360 degrees, WindBlock, SoundRelax, DuoPhone. V50 Autosense OS over 3 environments (calm situation, speech in noise, and comfort in noise), Real Ear Sound, UltraZoom (standard). V30 Autosense OS over 2 environments (calm situation, speech in noise), UltraZoom (essential).